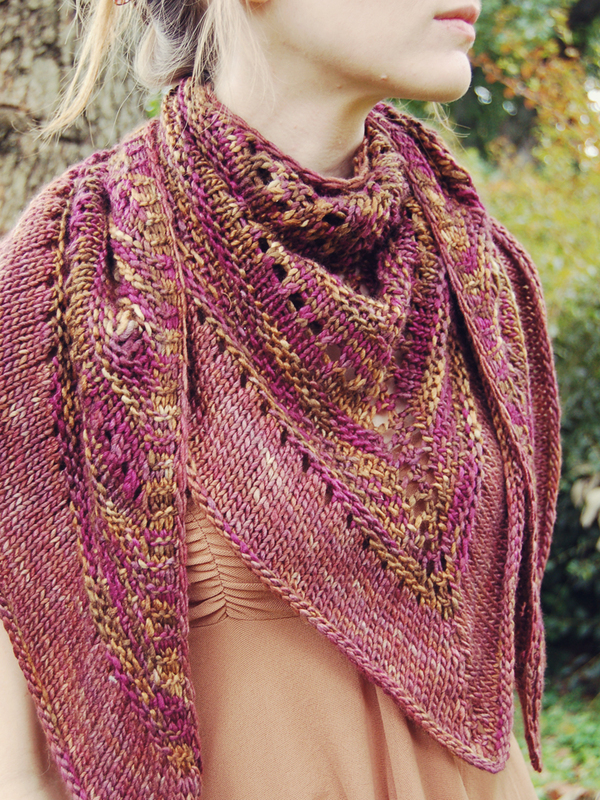 Faraway, So Close is a simple shawl that uses repetition of various stitch patterns to achieve a more complex effect. It can be worked in two sizes from worsted weight yarn and features a modest ruffle and optional crochet edge in a coordinating color. This shawl was originally designed as a gift to comfort a friend during a time of much grief. In honor of Infant Loss Awareness Month, each October all proceeds from the sale of this pattern for the month are donated to charities that offer support and guidance to families suffering the loss of a child. Yarn: In worsted weight yarn you will need approximately 275 (550) yards of MC and 170 (200) yards of CC. Needles: 48” or longer circular needles in US size 10 (or size required to obtain gauge) and one “J” crochet hook. Notions: 2 stitch markers and a darning needle for weaving in ends. In stockinette stitch 16 sts and 20 rows = 4”.